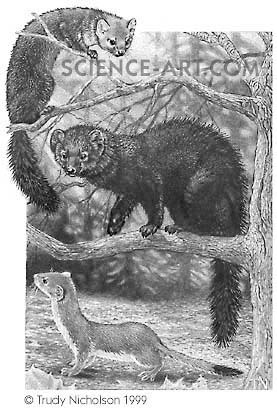 "America Marten, Fisher and Long-tailed Weasel"
frenata). Medium: Pencil on Scratchboard. Published in "Owls Aren't Wise & Bats Aren't Blind"